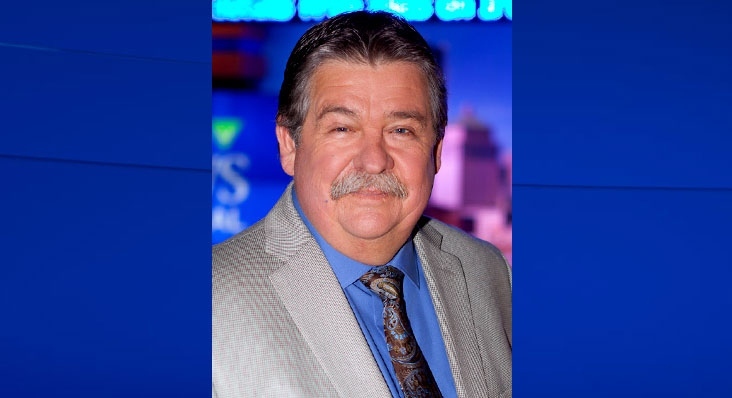 Veteran sportscaster – and a much-loved part of the CTV Montreal family – Randy Tieman has died at the age of 64. Randy worked at CTV Montreal for 34 years as a reporter and anchor until 2017. He was known for his warmth, his good nature, his boisterous laugh and his iconic moustache. “There are few people one meets in the course of one's career who find a permanent place in both mind and heart. Randy, for me, was one of those rare types. Always cheerful. 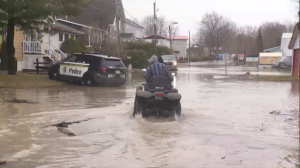 Always optimistic despite the challenges life often presents,” said his friend and long-time co-worker, former CTV Montreal anchor Bill Haugland. Randy had a zest for life and an easy laugh, endearing him to friends and colleagues. Mutsumi Takahashi remembers him warmly. “Randy loved life... holidays and special occasions, football and baseball spring training – his Christmas ties, a different one for every day in December. His special hat for trick-or-treating with his children. His Super Bowl menu. But more than anything, he loved his wife Liane and his kids. His eyes would light up when he’d talk about them. And he always talked about them. He would chuckle. And he’d make me laugh. And I loved him for that,” she said. His death was a surprise to those close to him, including Brian Wilde, who worked alongside Randy for more than two decades. It was true – Randy had battled back from several serious health scares and once said he had been "stitched and scarred from under my right ear to the bottom of my left foot." Randy couldn’t be missed in the newsroom during games – he was always loudly rooting for (and sometimes berating) his favourite teams through the screen. Known as a big teddy bear, Randy never took himself too seriously. “I will miss his sense of humour, often seen in Randy's TV sports, field reports. If asked to jump half-a-dozen oil barrels on his ice skates, he'd do it knowing full well he'd go sprawling. I knew him to be a loving family man whose warmth and gentle spirit were shared with me and all his colleagues at CTV Montreal,” said Haugland. Randy would wrestle with the professionals, play water polo, report from a hot tub and crack jokes while buying his Christmas gifts – all Montreal Canadiens paraphernalia, of course. His goal was simple: to make people smile. “It was just a fun way of doing stories, and I thought it brought more attention to the stories – and at the same time, it didn’t take away from the sport and it just made it more fun to watch. It gets back to what I’ve always said; you just have to entertain people,” he said. His favourite sports to watch and play were baseball, golf and hockey – in that order. He even got a hole-in-one this summer, his first after playing golf for 56 years. Born in the small town of Exeter, Ont. (population: 3500), Randy once recalled growing up “with a radio in his ear.” He said he knew when he was 12 years old that he was going to be a broadcaster – he would be late for school if the newspaper didn’t arrive on time because he had to read it before leaving the house. He graduated from the broadcast journalism course at Fanshawe College in London, Ont. Randy got his start working at various radio stations in Ontario and Manitoba, as well as CFCF radio in Montreal. He also worked at CJOH TV in Ottawa before joining CTV Montreal. Randy was the sports director both in Ottawa and in Montreal and spent three years working the midday radio show for TSN 690. Above all else, Randy was a devoted family man – husband to Liane for more than 30 years and the father of four children: Gabi, Jesse, Dennis and Harry. As his kids grew up, Randy coached their hockey and baseball teams. He and Liane purchased a hobby farm in the rural Ontario municipality of Williamstown, and he would commute over an hour to work, spending his time off tending to their many animals. In his retirement, he said he loved simply sitting in the sun with his wife and playing with their dogs. The Tieman family has asked for any memorial donations to be made to the Jewish General Hospital Foundation-Cancer Treatment. Remembering Randy Tieman, CTV's longtime sportscaster who passed away this week at the age of 64.